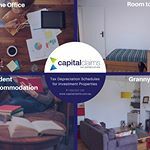 The ATO allows investors who are making a net loss on a property, to vary the tax withheld from their salary/wages each pay, rather than waiting until after June 30 when your income tax return is processed. The reason many investors do this is to improve their cash flow during the year. More cash flow enables investors to pay down debt, reinvest, or simply makes the month to month commitments of holding the property more manageable. As an example, consider Steph, who purchases an investment property in July 2017. Based on the calculations Steph has done with her accountant, she is forecasting that the property will make a net loss of $9,000 per annum (once her expenses including depreciation are deducted from her rental income). Steph's accountant calculates that this would result in a $3,000 refund to Steph at the end of the financial year. Steph and her accountant could decide to submit a PAYG income tax withholding variation (ITWV) application to the ATO. The ATO would then advise Steph's employer to vary the PAYG tax deducted from her pay. Steph is paid fortnightly by her employer who will now reduce the tax deducted from her pay by $115.00 per fortnight. That gives Steph an extra $230.00 per month, which she chooses to pay towards the mortgage for that property, helping her to pay it down sooner, and use the equity created to continue to grow her portfolio. For more information about varying your PAYG, speak with your accountant, or see what the ATO has to say here. Would you like to discuss your investment property? 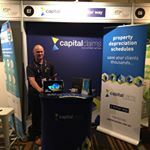 Contact our friendly team to discuss your property and find out what depreciation deductions are available to you. We provide free, all inclusive quotes and estimates of deductions up-front so you can feel confident before proceeding. Get in touch today on 1300 922 220. 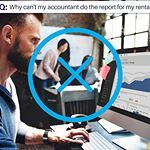 Can my accountant do the tax depreciation report for my rental? I purchased a second-hand property, what can I claim?